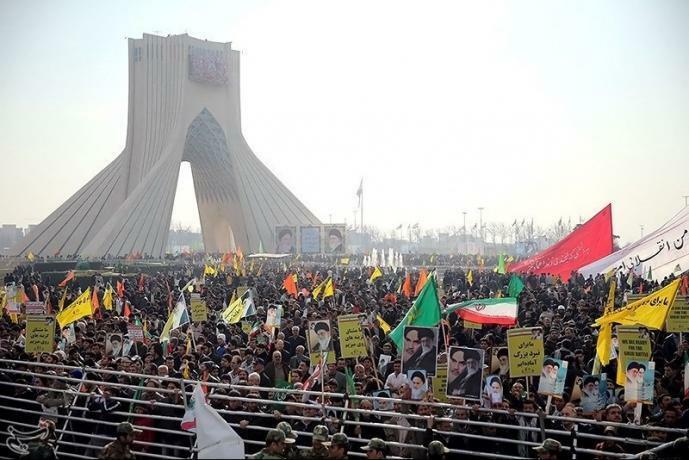 The coalition of 14 February youth revolution in Bahrain condemned the provocative and exaggerated speeches made by a number of American and Zionist officials over the past few days against the Islamic Republic of Iran, stressing that the US administration and its despicable tools in the region, "Al-Saud and Al-Khalifa", have not been able to underestimated the Iran's prestige. The coalition has pointed out in its statement issued on Tuesday, January 2, 2018 that the corruptive regimes that have sought to launch a methodical media campaign against the Islamic Republic of Iran are seeking to instigate the unrest among the Iranian people, which will not happen because the enlightened people of Iran have the awareness under the guidance and wise leadership of Imam Al-Khamenei "His generous shadow lasted "
The coalition added that the Islamic republic of Iran, which had supported the issues of the oppressed peoples in the world, will remain the fortified stronghold of Muslims and oppressed people in the world. The stances of arrogant countries which do not want the good for the Iranian people and act only according to its interests firstly and lastly, will not be able to subject the Iranian people.